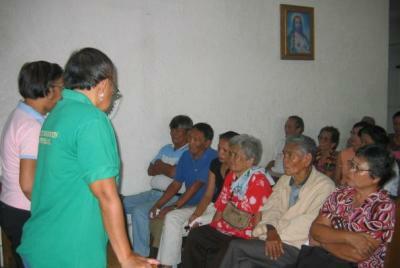 We have a regular screening every WEDNESDAY, 1pm @ the Chapel of Riverside Hospital, Bacolod City. Check up is for FREE. If our doctor recommends cataract extraction we then schedule you for operation. 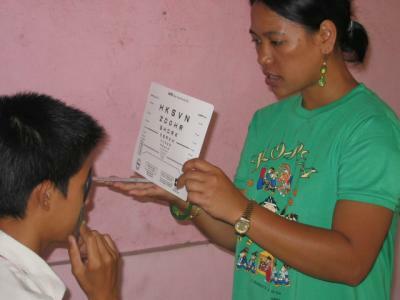 We do eye and ear screening in different communities all over Panay islands. If you wish for us to visit your area simply get in touch for a schedule. Error of refraction, which is easily diagnosed and can be inexpensively corrected with glasses, are the most important cause of vision impairment in school-age children. Thus, since 2006 we've been doing massive school screening in Negros Occidental and nearby provinces to address this concern. 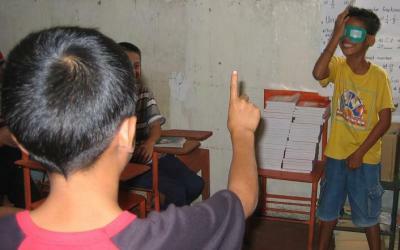 If you want us to visit your school and avail of our free service, contact us. With this program we hope to empower the children/pupils (grades 4, 5 and 6 pupils; 10-12 year olds) to do community service through teaching them the basics of identifying cataract among the elderly with the focus on their grandparents, parents or any elderly member of their immediate family. We welcome invitations from any schools to do the training. Get in touch with us. 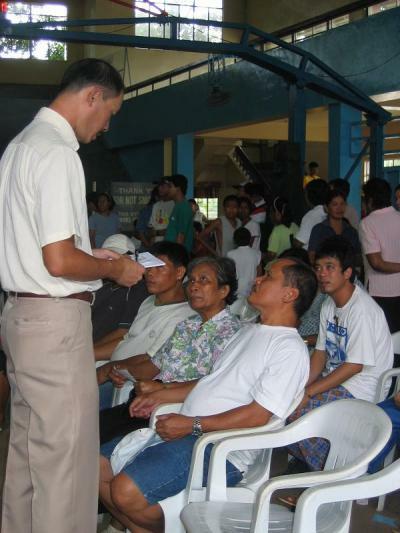 We have partners in most of the Philippine provinces who do the cataract surgeries. If you know anyone in need of cataract surgery, just get in touch with us. We will refer them to the nearest partner for assistance. We help children with all kinds of sight threatening conditions like cataract, amblyopia, strabismus, errors of refraction, retinopathy of prematurity (rop), low vision, retinoblastoma, etc. Pediatric ophthalmologists in the country are very few and most of them are practicing in Manila so if you know any child with eye problems feel free to contact us. We have referral centers to recommend where we have a direct partner who can assist you. Today, there have been 7 visitors (76 hits) on this page!